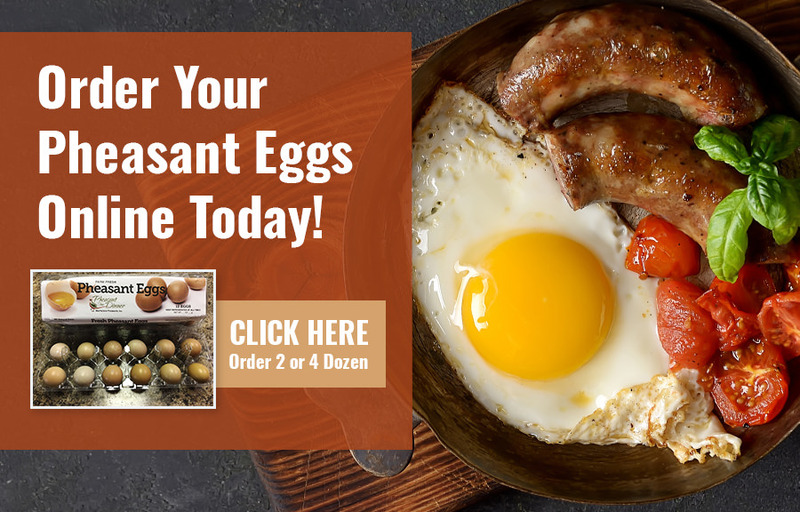 As the largest pheasant farm in North America, MacFarlane Pheasants of Janesville, Wis., knows pheasants with two generations of expertise honing the raising of pheasant — a natural, lean, hearty meat. Having complete control of our poultry from pasture to plate delivers unmatched quality and pure flavor every time. 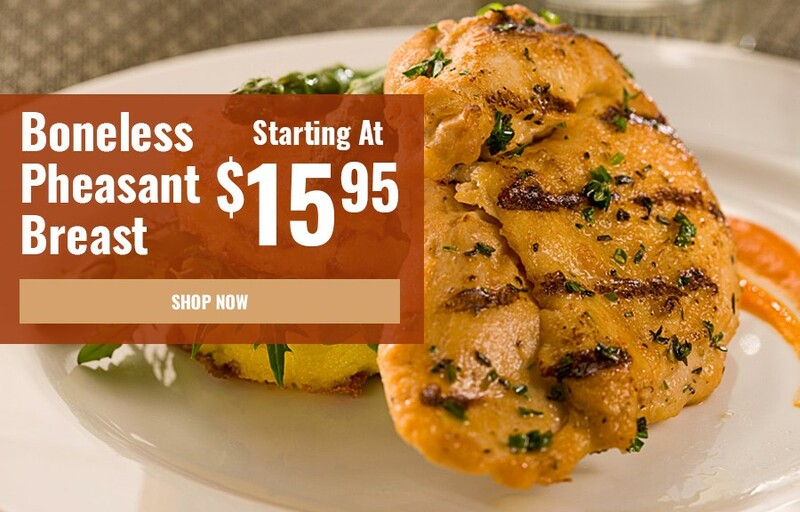 This protein rich power food packed full of superior nutrition is a favorite of chefs, restaurateurs, retailers, and discriminating consumers nationwide. 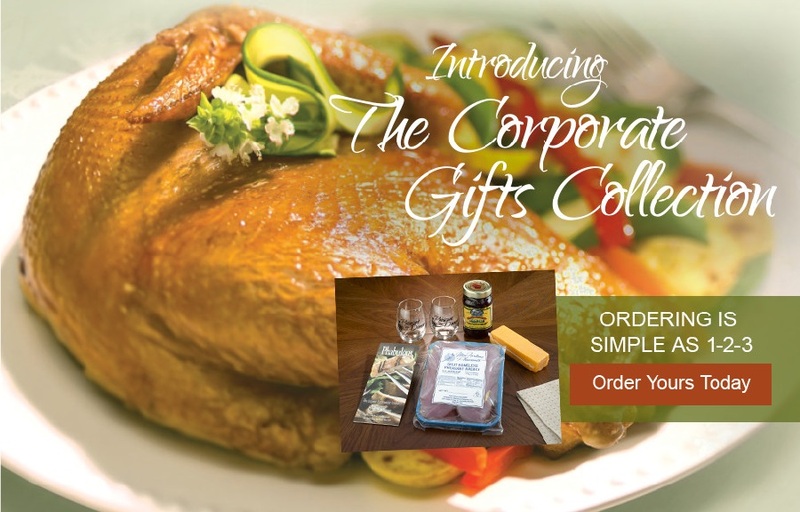 We offer the traditional whole bird as well as fully cooked products like smoked pheasant and even wild pheasant recipes. 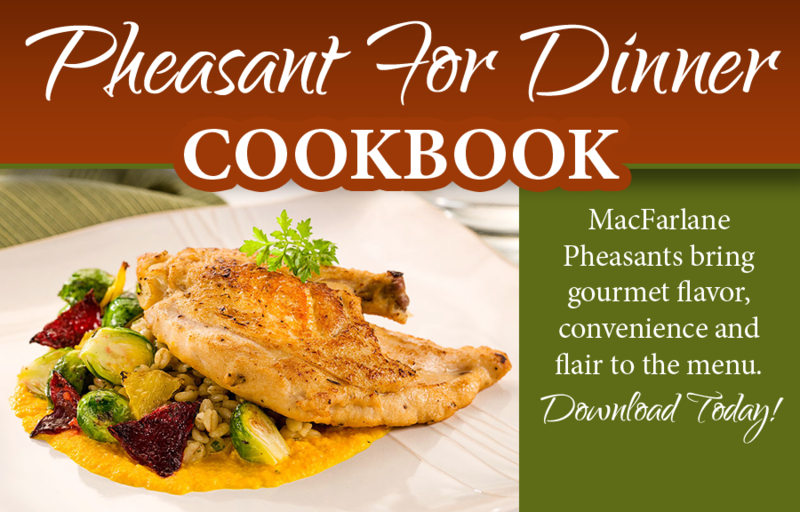 Conveniently available year-round, MacFarlane Pheasants brings elegant cuisine to your menu with the exquisite flavor nature intended. Our new Pheasant Pie with Wild Rice has a golden flaky crust and is filled to the brim with a colorful array of veggies and flavorful pheasant breast meat. Enjoy this easy to cook meal that the whole family can enjoy. From appetizers to pheasant entrees, this cookbook with provide you with the recipes you need to make sensational salads and savory stir-fry dishes. All included in your complimentary cookbook! 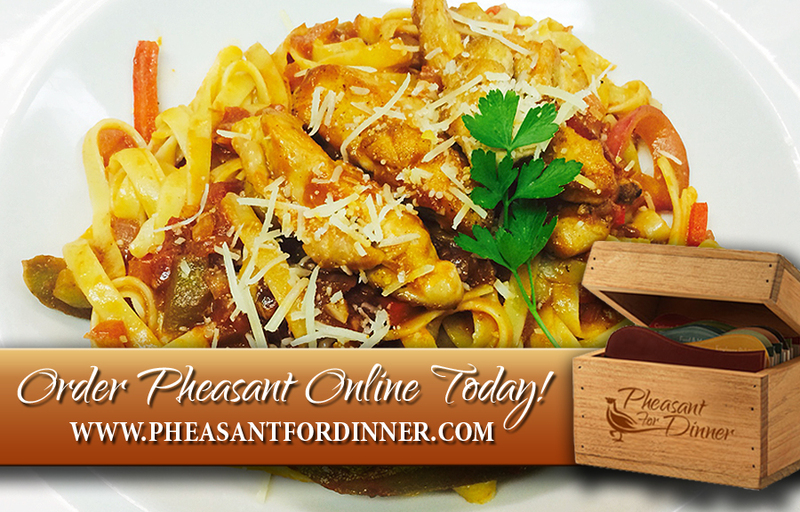 Stay up to date on the latest tips and recipes by following the Pheasant for Dinner blog.